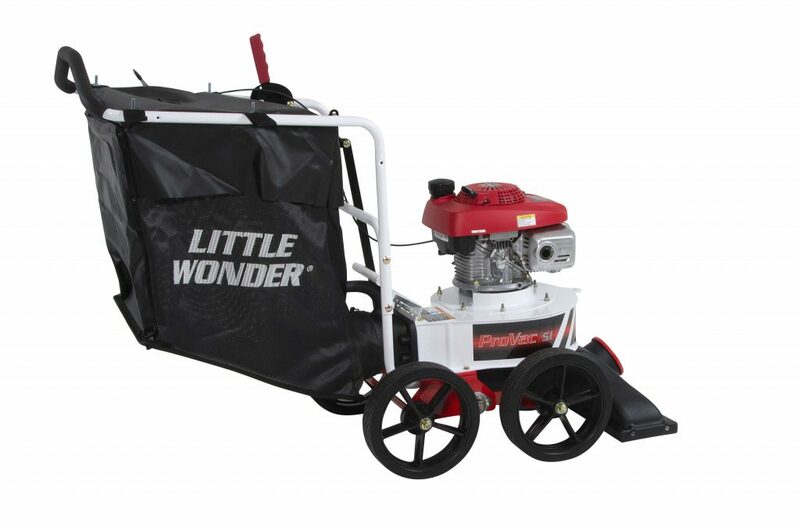 Little Wonder, a registered trademark of Schiller Grounds Care, released its new ProVac SI leaf and debris vacuum. The vacuum features serrated steel impeller blade technology, a 40-gallon bag capacity, foam-gripped handles that angle upwards to match the hand’s natural position and instant height adjustment from the operator’s position. The vacuum’s bag capacity is optimized by a 12.25-inch thick steel impeller featuring five serrated blades—which can easily handle leaves, litter, cans, bottles and more—to deliver a 5:1 reduction ratio, Little Wonder said. The angled bag with a sewn- in plastic bottom also helps prevent wear and tear during both use and loading and unloading of the machine. Twenty-eight inches wide at its widest point, the ProVac SI can fit through almost any gate and work in small spaces. Its throated nozzle design increases airspeed for improved vacuum capability, while a rectangular discharge chute prevents clogging of debris, the company said. It includes a thick gauge, all-welded steel housing with welded support studs sitting atop wide-spoked, semipneumatic wheels that don’t require air. The product comes with a two-year limited warranty.